It’s Thanksgiving here in the states. It falls into one of the holidays I have a love/hate relationship with. Love hanging around my family and friends during an extended weekend… then using the weekend to dig out my Christmas decor. Hate that it’s all centralized around food and no matter how diligent I am, I still end up with highs off the charts at all hours of the evening. Since my blood sugars have been FANTASTIC for the last few days, with a few blips here and there, I’m trying to devise a plan that doesn’t center around the appetizer table. And maybe I will skip the mashed potatoes this year. But, let’s not talk about food anymore because I’m sure I’ll be guiltily enjoying a piece of pumpkin pie later despite my best efforts. 1) Medical technology that allows me to eat said pie. And the medical insurance to allow me to purchase said medical technology. I know it’s not great right now, but at least I have it. 3) My fellow D-readers, who I don’t know in real life, but they offer insight in their own blogs, and sometimes share it on mine. For only having the blog for a month, I’ve already got a pretty good network established. 4) A new team of doctors. And a new diabetes educator that reassured me that I am doing fantastic and only need a “tune up” to get me where I need to be for next year. Let’s hope this move to the new hospital (and insurance) continues to be worth the hassle in funding and paperwork. Ugh, the appetizer table. That’s where we get pummeled before the final knockout punch! 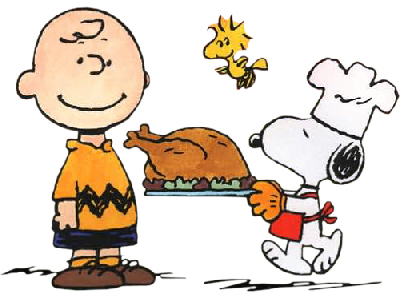 Well, hope you have/had a good Thanksgiving! Ha! Yeah. I survived. Our plans changed quite dramatically and I ended up heading to a friend’s house for Thanksgiving dinner instead of traveling. They only really had chips and salsa and crackers/cheese on the appetizer table, which was PERFECT.